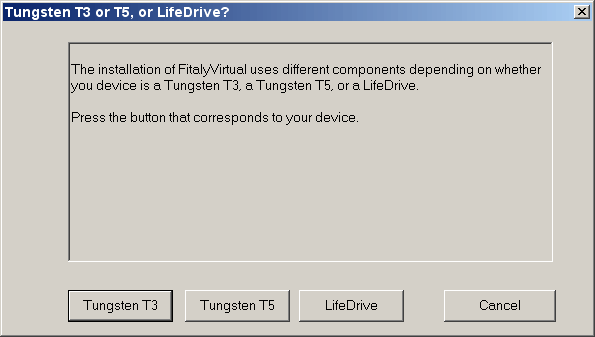 A new FitalyVirtual installer for the Tungsten T3/T5 and the LifeDrive is now available. This is our first version of FitalyVirtual for the LifeDrive. Unlike the earlier solution posted in June, it no longer requires the use of SkinDIA. Actually, it takes advantage of some technology licensed from Alexander Pruss, the author of SkinDiA.